Millions of children worldwide use Scratch to enter the world of programming. Now there’s a new way to connect to music, as Roland teams up with MIT. If you understand topics like programming, logic – and machine learning, artificial intelligence, and related fields – as an extensive of how we think, then this is more than simply vocational prep. It’s not just making sure we have a generation of cheap coders, in other words. Learning programming, creativity, and media in this way can help how we think – so it’s really important. Scratch is one of the latest to follow in these footsteps. It’s a free visual programming environment available on all operating systems and in 70+ (human) languages, built in its latest iteration with Web technologies. You can use it in a browser, and it has some surprisingly sophisticated interactive sprite and behavior capabilities, merging some of the best of past tools like Smalltalk, HyperCard, Director/Lingo, ActionScript, and others. You know – for kids. 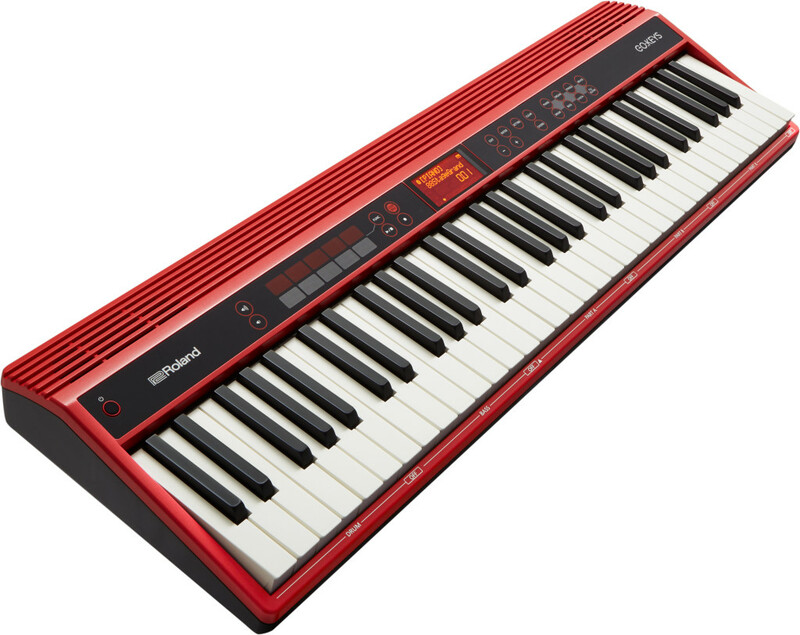 The GO_KEYS keyboard from Roland. Its price is a bit above the entry level (around $300). The main thought here is to reach new musicians by offering different ways of playing with loops and discovering music. 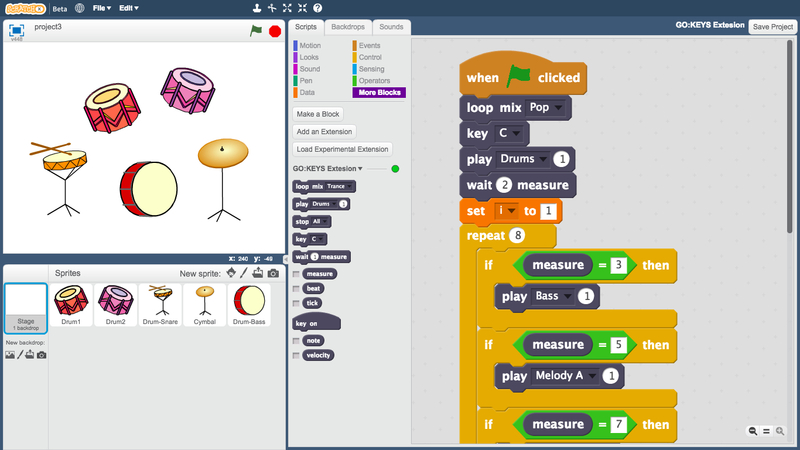 The SCRATCH X extension is the work of Roland; Scratch itself comes from the Lifelong Kindergarten Group at the MIT Media Lab. Scratch programming interface with the new Roland module. There’s some really cool potential here. HyperCard allowed kids (and adults) to create interactive storybooks and the like; with Scratch and GO:KEYS, you can imagine using keys to trigger story events, program logic creating musical events, and live control of music both from Scratch and the keyboard. Creative kids could turn this into a wild new instrument, complete with physical controls. Now, of course, whether you specifically need the GO:KEYS for this or not is another matter. But it’s nice to see Roland even interested in this area. (And there’s an opportunity for the company to follow up with hardware loans and the like, and to work with other partners.) It’s also an excuse to look at this theme and where it could go. Creative coding and teaching have long been a passion for me and this site, so I’ll be sure we follow up on this one!